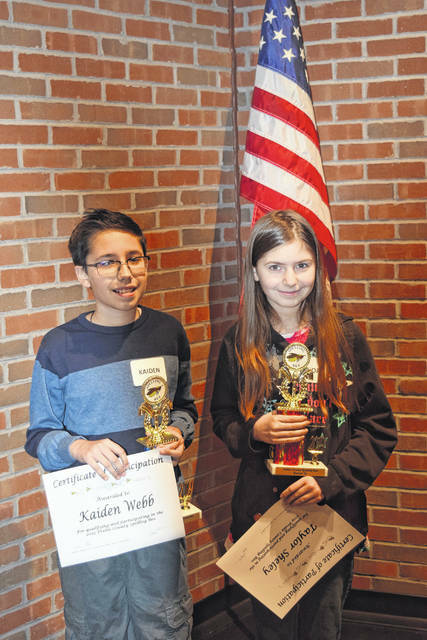 Kaiden Webb, Eaton Middle School seventh grader, was crowned the winner of the 2019 Preble County Spelling Bee on Thursday, Jan. 24. 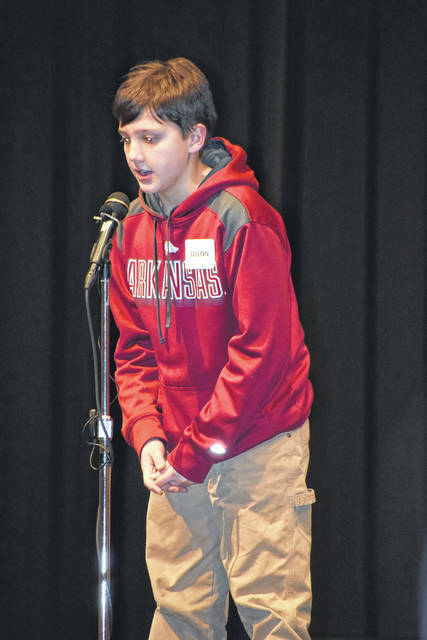 Runner-up was Taylor Sheley from Tri-County North Middle School. 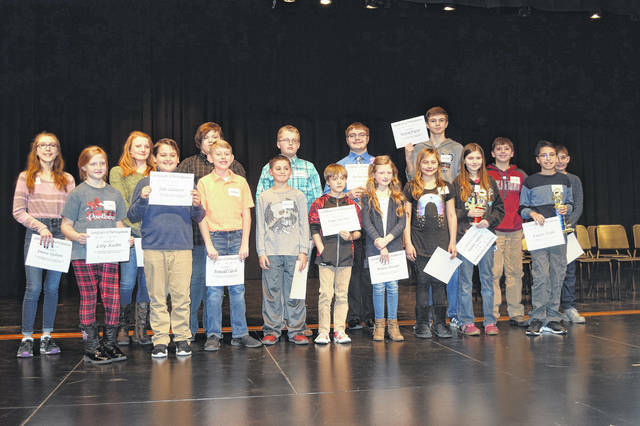 EATON — Kaiden Webb, an Eaton Middle School seventh grader, was crowned the winner of the 2019 Preble County Spelling Bee on Thursday, Jan. 24. Runner-up was Taylor Sheley from Tri-County North Middle School. The competition was presented by the Preble County Educational Service Center. Assistant to the Superintendent Shawn Hoff was the host for the evening. 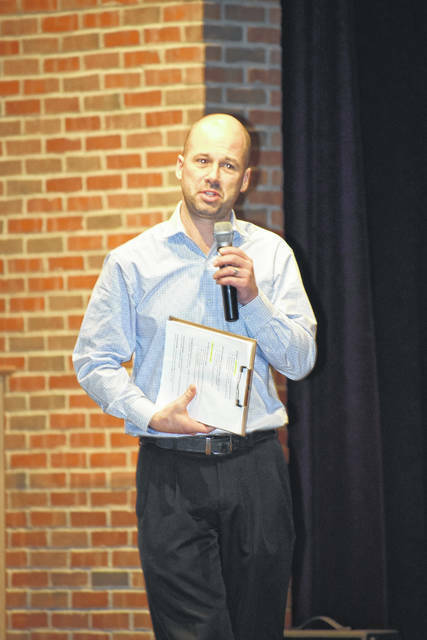 Pronouncer for the event was Preble County ESC Enrichment Coordinator Daryl Michael. Participants included: Jake Schaurer, Kaiden Webb, Ethan McAllister, Garland Weaver, Country Ford, Hunter Strothman, Cooper McCloud, Taylor Sheley, Tori McRill, Brenton Proctor, Evan Jones, Emma Upham, Brooklyn Holsapple, Dillon Graves, Donald Clark, Paige House, Christina Worley, Arianna Means, Lily Kuhn, and Lidsay Frederick. According to Michael, students take an online class to qualify for the district spelling bee. 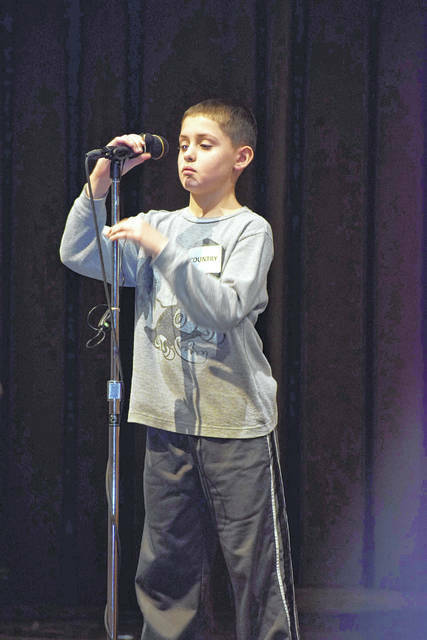 The county spelling bee is meant to recognize students who won their school’s spelling bee. 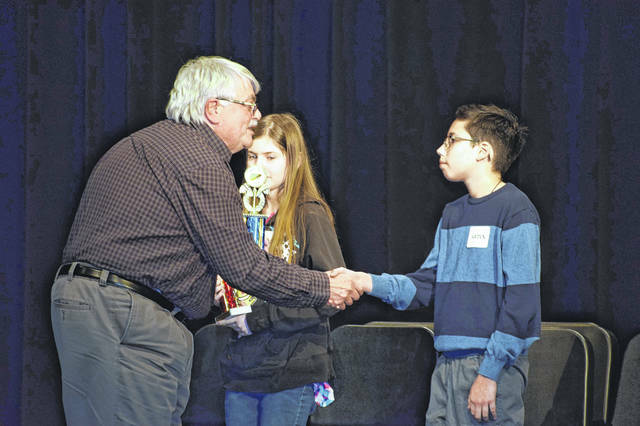 All students at the county competition were winners at their school bee. The list of words used are available online and every student has an opportunity to study the words. 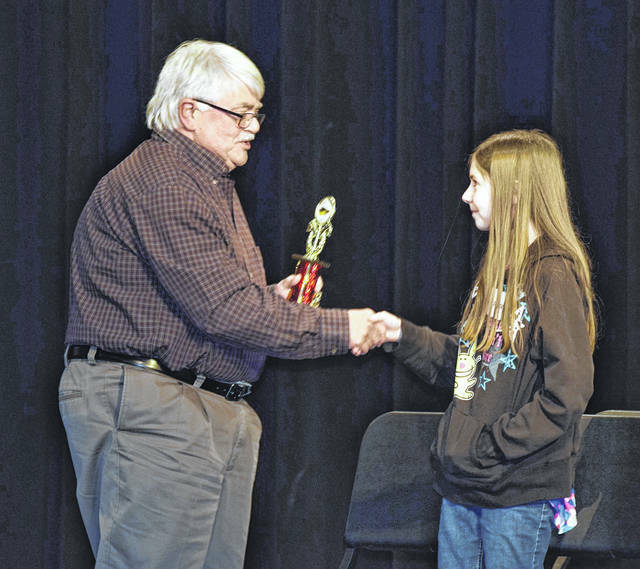 Winner Webb participated in the school spelling bee last year and was determined to correct past mistakes. 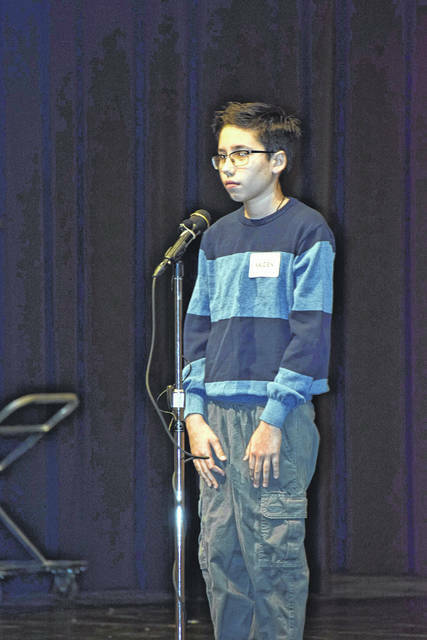 https://www.registerherald.com/wp-content/uploads/sites/41/2019/01/web1_Spelling8.jpgKaiden Webb, Eaton Middle School seventh grader, was crowned the winner of the 2019 Preble County Spelling Bee on Thursday, Jan. 24. Runner-up was Taylor Sheley from Tri-County North Middle School.